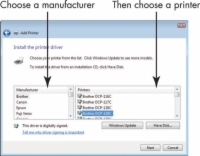 If your printer is a Plug and Play device, connect it and power it on; Windows installs what it needs automatically. Insert the disc that came with the device and follow the onscreen instructions. 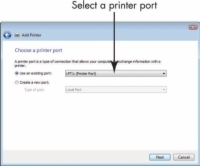 If you have a wireless printer, connect it to your laptop and then open the Control Panel (from the Desktop, press Win+I and then click Control Panel on the Settings panel). Click the Add a Device link in the Hardware and Sound category in the Control Panel window. Windows searches for any newly connected devices; when it finds one, follow the instructions to install it. Note: In the step that follows the one where you name the printer, you can indicate whether you want to share the printer on your network. You can select the Do Not Share This Printer option to prevent others from using the printer, or you can select the Share Name option to share the printer on your network. 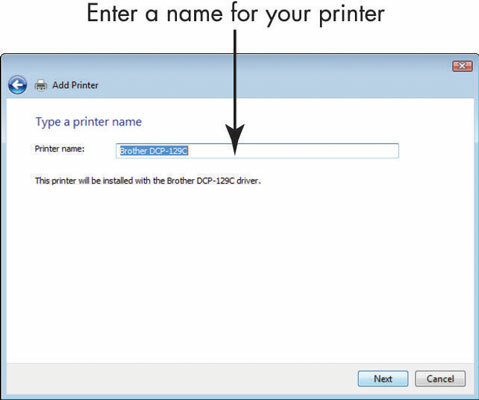 This means that others in your network can select this printer. 1From the Control Panel, choose Hardware and Sound. 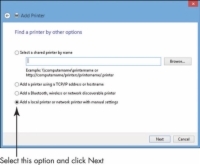 In the Hardware and Sound window that appears, click the Advanced Printer Setup under Devices and Printers. 2Click the link The Printer That I Want Isn’t Listed. 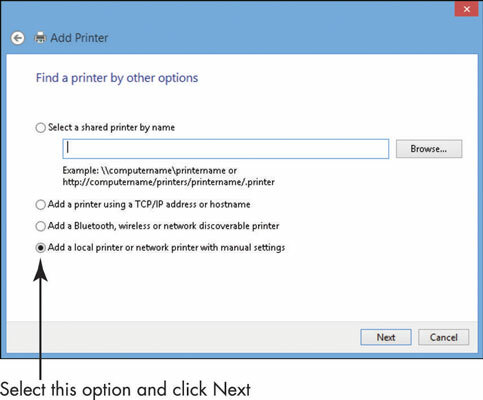 In the resulting Add Printer window (the first of a series of windows that will guide you through a task), click the Add a Local Printer or Network Printer with Manual Settings radio button and click Next. 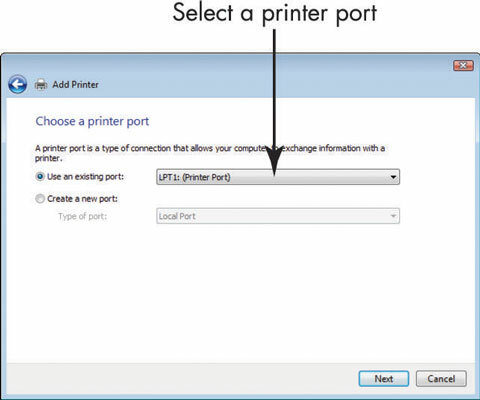 3In the Choose a Printer Port dialog box, click the down arrow on the Use an Existing Port field and select a port, or just use the recommended port setting that Windows selects for you. If you have the manufacturer’s disc, insert it in the appropriate CD or DVD drive now and click the Have Disk button. Click Next. 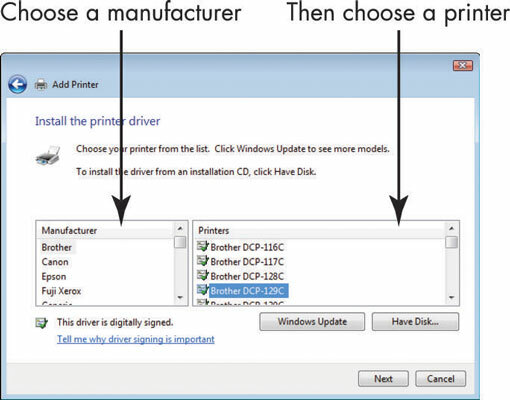 If you don’t have the manufacturer’s disc, click the Windows Update button to see a list of printer drivers that you can download from the Microsoft website. Click Next. 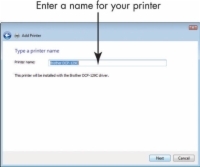 5In the resulting Type a Printer Name dialog box, enter a printer name. 6In the resulting dialog box, click Finish to complete the Add Printer Wizard. If you need to print on the go, consider a portable printer. These lightweight (five pounds or less) units don’t offer the best print quality, but for quick, on-the-fly printing, they can be useful.